What’s Left for Cowboys to Offer in Deal for Earl Thomas? Earl Thomas' latest subtle reference to the Dallas Cowboys on Instagram was not so subtle. In fact, Monday's post was more inspired by Thomas' actions at AT&T Stadium back in December. The Seahawks week 16 win had just eliminated the Cowboys from playoff contention, as Thomas tracked down Dallas Head Coach Jason Garrett in the tunnel afterwards. Thomas' Christmas Eve wish to the losing coach, who finished 9-7 last season? "Come get me," which is well out of both Garrett's and Thomas' reach. Within reach has been Thomas' social media accounts, which he's used to stir up his displeasure with the Seahawks entering the final year of his contract. Already seeing four time Pro Bowl Safety Kam Chancellor announce the end of his career this offseason, the Seahawks are going through a transition they have every right to include Thomas in. The Cowboys, and several other teams around the league that undoubtedly have interest in Thomas, could also help the Seahawks speed up their rebuild by offering a package of young talent or draft picks. The Cowboys last known offer for Thomas came during the NFL Draft. As first-round talent Connor Williams out of Texas waited patiently at AT&T Stadium, the Cowboys made his dream of playing for America's Team come true instead of sending that 50th overall pick to Seattle. With their new starting left guard in the fold, the Cowboys came back on the clock at 81st overall in the third round. Still in need of a wide receiver, the Cowboys stole Colorado State's Michael Gallup -- with a pick that the Seahawks reportedly turned down as compensation for Thomas. Now, the Cowboys are preparing for their 2018 training camp with both rookies Williams and Gallup expected to start and contribute right away. The Seahawks will be expecting the same from their veteran in Thomas, as his post above makes it clear he's looking for an extension from the team prior to showing up for camp. Whether or not Earl actually passes on the money he's due to play this season prior to hitting the open market is a different story. It should be one of little concern to a Cowboys team with expiring contracts on Defensive End DeMarcus Lawrence and other key players next offseason. So what does the optimal (and rare) late-July trade for a star player look like for the Cowboys landing Thomas, and dealing with his contract situation afterwards? Here are a few scenarios that the team could see play out in training camp. Confidence in Kris Richard Enough for Cowboys to Trade Young Secondary Piece? Thomas' appeal as a member of the Cowboys goes far beyond his own interest in the team, his roots in Texas, or Dallas' old habit of bringing in premier talent at any cost. The cost here for Thomas is whatever the Seahawks hold over the Cowboys head, relying on him being a starter in their secondary for the ninth consecutive season. The 13th overall pick at the 2010 draft could come the Cowboys way if they're willing to also help the Seahawks patented "Legion of Boom" secondary remain a strength of that team. The Cowboys already have a key member of this Super Bowl winning Seahawks defense, their Secondary Coach Kris Richard. Richard takes over as the Cowboys Passing Game Coordinator, setting expectations sky-high for young starters like Chidobe Awuzie, Jourdan Lewis, and Xavier Woods. Letting Richard coach up this unit for a full year before the Cowboys part with anyone is a smart approach. Given the impact Thomas would have from the safety position in Dallas though, a spot the Cowboys currently lack a true difference maker at, moving on from some depth at cornerback could get a deal done with the Seahawks. Players like Lewis, Marquez White, and Duke Thomas were all used sparingly as backup players in the Cowboys OTAs and mini camp. Knowing what Lewis can give them still as an outside or slot cornerback, the Cowboys may see their strength at CB as enough to upgrade significantly at safety. Offering the Seahawks an athletic defender like Byron Jones, the converted safety that's projected to start on the boundary at CB for Richard's secondary, could be the most mutual trade these two teams make. The Seahawks need a lot more than just a cornerback for Thomas, and the Cowboys need a more fortified reason to move on from any secondary players before a deal like this gets done. Thomas agreeing to an extension with the Cowboys or the team not being able to get a Lewis or Anthony Brown on the field in Oxnard would be one thing to look for if actual trade talks are going to rekindle between these clubs. Future Draft Compensation, Riskier for the Seahawks or Cowboys? Let's preface this look at the Cowboys draft capital by remembering how high the team themselves -- and not just draft scouts, analysts, and college coaches -- are on Connor Williams. Holding the Cowboys rookie offensive lineman to the standards of Earl Thomas, with 25 career interceptions and 11 forced fumbles, is preposterous. The certainty Williams may offer the Cowboys at LG could ultimately be the key to getting Thomas in the silver and blue however. Also committing to swing tackle Cam Fleming and backup Guard Marcus Martin in free agency, the Cowboys offensive line is looking as deep and talented as ever. The team would obviously like it to stay this way, especially after seeing Dak Prescott sacked 32 times last year. I wouldn't anticipate the Cowboys trading away anyone of value on their offensive line for Earl Thomas, despite how much a need this is for the Seahawks. The Seahawks did spend a fifth round pick on Ohio State OT Jamarco Jones. It was the only investment the team made into their offensive line, doing so with their fourth and final pick of that round. Just how much a future second-round pick would mean to the Seahawks is impossible to define. For the Cowboys, it currently means Connor Williams, Chidobe Awuzie, and Jaylon Smith. Their three most recent selections in this round should put a rest to the narrative that they consistently blow this pick by taking massive risks. Thus, sending away any pick that Will McClay and the Cowboys can get their hands on is risky for the Cowboys. Being one they were willing to take back in April, the pressure remains on the Seahawks to trust their draft process and get compensation at the end of Thomas' career. Earl Thomas being traded to the Cowboys remains a story for Dallas because they are constantly the team expected to make a move like this. Few players have been as public about the team they want to join than Thomas bartering the Cowboys, and even fewer can believe that Jerry Jones has not gotten a deal done for him because of this yet. With plenty still to offer and the 2018 season rapidly approaching, the Cowboys have time to wait this out -- so much so that Thomas could happily play for the Seahawks this season and become a free agent in 2019. Enough waiting is going on throughout Cowboys Nation though. The Cowboys don't arrive in Oxnard until next Wednesday, with Thomas no closer to arriving then, later in training camp, or never. 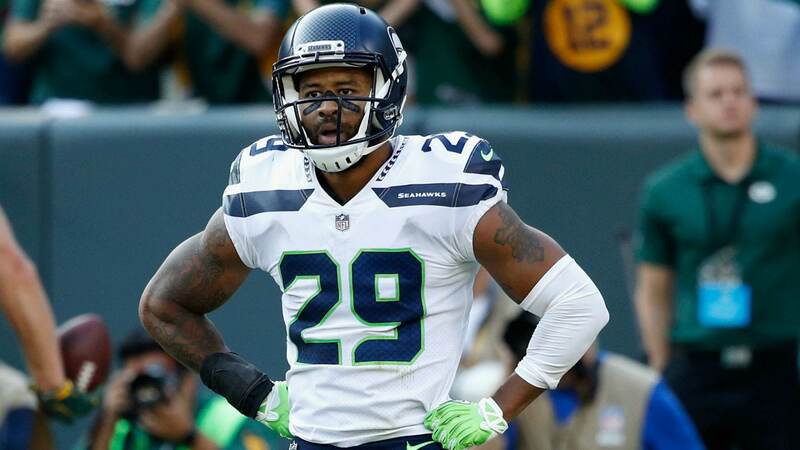 Tell us what you think about "What’s Left for Cowboys to Offer in Deal for Earl Thomas?" in the comments below. You can also email me at Sean.Martin@InsideTheStar.com, or Tweet to me at @SeanMartinNFL! Will Terrance Williams’ Run Of Bad Luck Continue? Alternate Universe: Where Would Cowboys Be With RB DeMarco Murray?